I mention on my Instagram the other day that Dylan is a bit clumsy when it comes to sports, catching a ball, riding the scooter, and things like that. It’s not that he doesn’t like it, because he loves playing everything that has other kids involved, but he is clumsy, that’s all. And it’s fine. I see kids at his age that are already riding bikes, are super fast riding the scooter, can kick a ball super strong! And it’s all good, every kid is different and has different skills. It doesn’t mean the kid that kicks the ball really well will be a soccer player or that my son won’t be good at any sports. I think that at this age we need to let them to explore everything at, at the same time, give them the tools to get better at the things they like. It’s no secret that Dylan is very into ABCs and he knows the whole alphabet since he was 16 months. 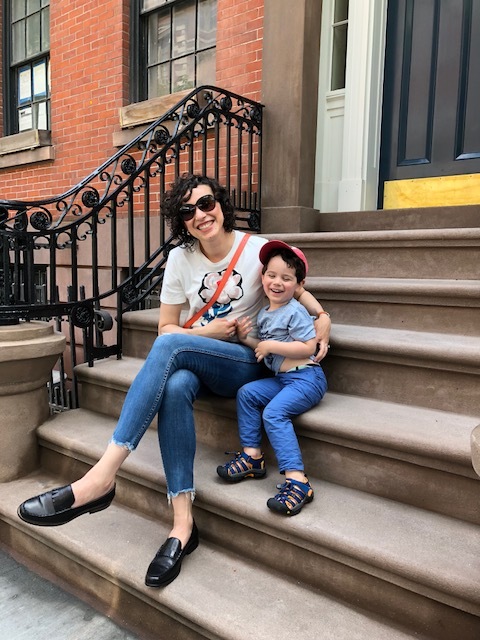 I’m no bragging or anything and I never forced him to learn – like some “judgy” moms out there made sure to point out before – but he likes to learn and I always gave him the tools do it so. He is 3.2yo now and is starting to read. He knows lots of sight words already and is starting to put letters together. As mom, I couldn’t be prouder of my little guy because he loves trying to figure it out on his own words and asks us all day long to spells words to him. With that, our bedtime reading routine changed a bit because and of course, he wants to read by himself books he can’t read yet, full of new words. So we help him and read literally with him. We have to read phrase by phrase, point out the words and then he will do the same thing. It’s cute, even though it takes much longer. When he is on his own with his books, he just goes with dr. Seuss board books and other little books he enjoys. We’re letting him do his own thing. Of course he doesn’t need to be reading at his age, but if he wants to try, we’re here to help! Strictly No Elephants – by far one of the most beautiful books I’ve to read to teach kindness between friends. Monsters Was Whiny Children – It’s a funny book, I promise. Waiting is Not Easy! – and everything Mo Willems we just love it so much.